Have you ever wanted to own a tiny 4x4 that looks like Grimace and would make doves cry? Well now is your chance. Someone in North Hollywood is selling their 1996 Suzuki X-90. The Suzuki X-90 is basically what would happen if you let Prince design a small Japanese SUV. It’s a shame Radwood is over for this year because this car screams 1996. The interior pattern on the door cards and seats might be my favorite part of the car and that’s saying something because this car is a manifestation of the metaphysical concept of purple. Outside the fact that it’s a two-door SUV that can fit in someone’s pocket, it also has t-tops! It’s basically a Jeep and Trans-Am combined into one compact lavender package. 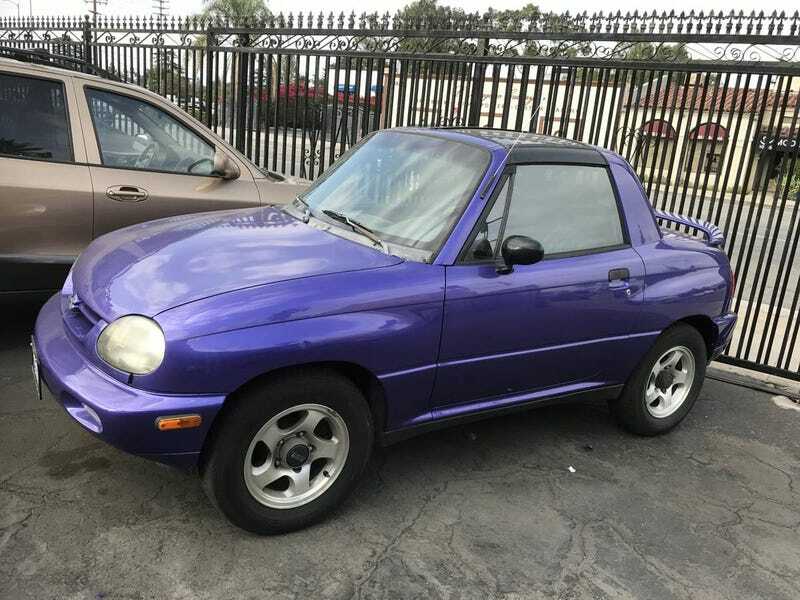 Now this X-90 is unfortunately an automatic but that shouldn’t be a deal-breaker because this universe isn’t perfect and we have to cherish all the good things we have in life like this tiny purple car. The seller notes that it has 123,500 miles on the tiny four-cylinder engine which may seem like a lot but that means that someone drove this bite-sized bundle of joy all over the streets of Southern California spreading joy to anyone who saw it. 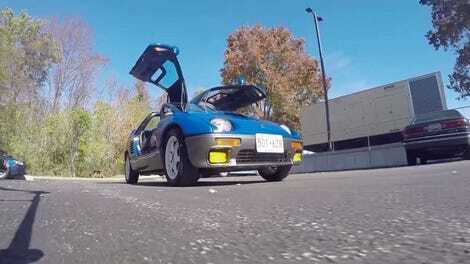 For $5,500 you can adopt this adorable car as your own and make it part of your automotive family. You too can spread all the love that only a purple X-90 can provide. Humanity needs you like it needed the X-90.